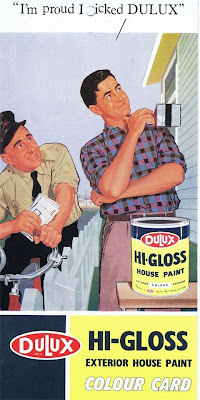 Here's another fine gentleman who's proud he picked Dulux. A small detail to notice: The house is one color (white) while the overhang is another (yellow). That could be a really interesting look. This time Dulux has a much brighter mid-century modern color palette to select from. That probably stems from the fact that this is a paint card for mid-century modern exterior paint colors, instead of interiors. 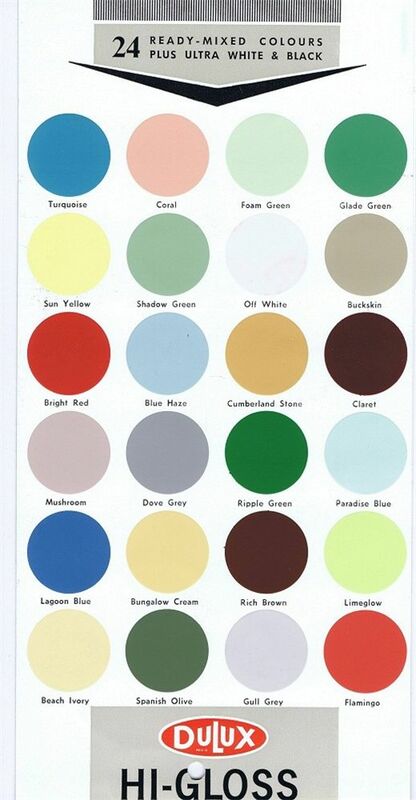 A lot of these mid-century paint colors would work to make a door or a window frame pop, but you wouldn't want to necessarily fill an entire room with them. There's also plenty of softer exterior paint colors if you're feeling little less bold. 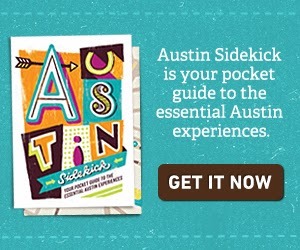 Or maybe for the main color of a mid-century house. 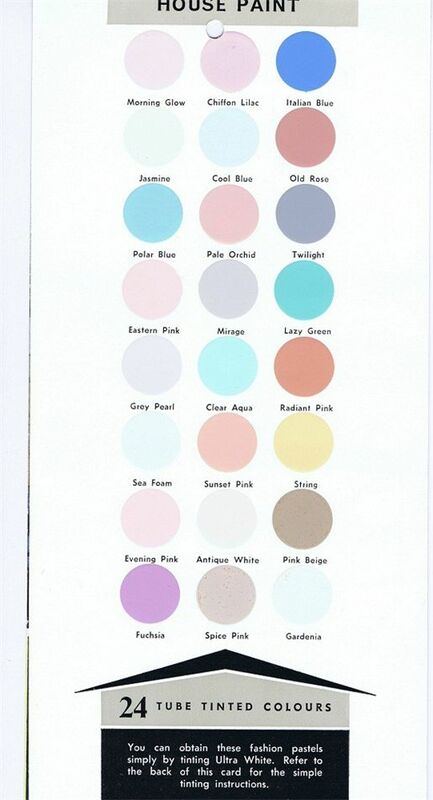 I'll be a little biased and say that this paint card is probably my favorite set of mid-century paint colors so far – mainly because you could almost recreate the look of our atomic ranch from that first sheet of colors. I too like the first card. I'm a bit of a fan of bolder exterior colors and there's a good mix and match there to compliment any exterior even if you wanted to stay a bit more subdued for the body of the house. 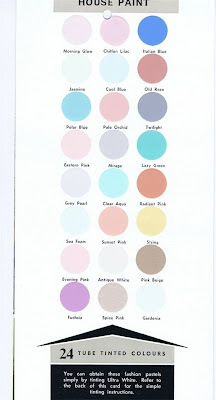 I didn't even notice because I was looking at the bright reds and turquoises, but you're right, there are enough whites, grays and light blues to complete a full home paint job.